Remodeling is stressful, no doubt about it. But you don’t have to let it dominate you. Here are some simple ideas to enjoy your home despite the dust and chaos. 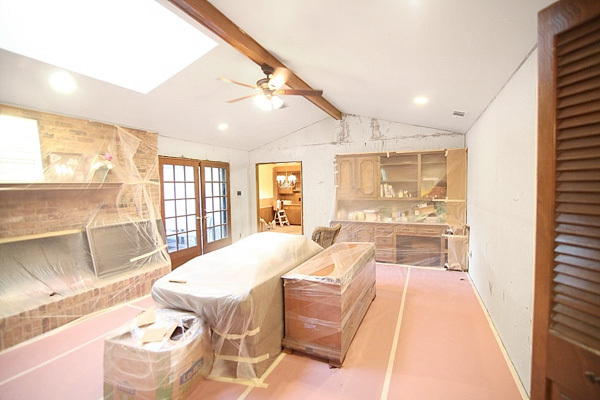 While you transform your fixer-upper into your dream house, you’ll have to deal with the stress and mess of renovations. Having a peaceful, clutter-free bedroom or a calming outdoor space can help. Closing on your first new home can be the marker of a job well done — or it can be the beginning of many more big jobs to come. Buying a fixer-upper can be a great option for homebuyers on a budget with the time and vision to personalize the house from roof to patio — but it comes with months, or even years, of projects to tackle. How can you enjoy the home you worked so hard to buy while you’re working even harder to renovate it? Here are some projects that will create much-needed livability in your fixer-upper while the work is ongoing. Storage may not sound exciting, but there’s no relaxing in a home covered in boxes of books that will eventually go into your revamped library or piles of pots and pans waiting for the kitchen cupboards to be renovated. 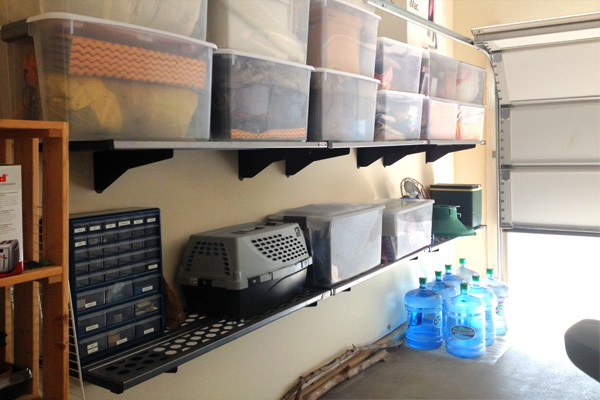 Install an organization system in the basement or garage to store your boxes and large items while they’re transient during renovations. You’ll need all that shelving as you get settled into your home and begin to accumulate more seasonal items. For items you’ll need to use more frequently throughout renovations, build shelves in closets or create storage space under a window seat or banquette bench. Maybe your master bedroom or kitchen will need a total remodel in a few years, but other rooms of the house need more attention now. Because you spend the most time in your bedroom and kitchen, take this opportunity to make at least one of them really cozy with a quick makeover before diving into any heavy-duty projects elsewhere. The fastest way to change a room is with paint and accessories. Use paint to create an accent wall in your bedroom and try your hand at crown molding to make a room seem polished and elegant. You can even add new lighting for ambiance. In the kitchen, paint the cabinets, add new hardware, and — voilà! — you have a new kitchen. Install a backsplash over a weekend, and one of your most commonly used rooms will feel peacefully polished — even if there’s chaos right down the hall. Your new home might be a mess inside, but you can feel great about pulling into your driveway if there’s a welcoming front door. If the outside needs a facelift but you’re not ready to empty your pockets for a whole new look, spend a day installing a new entry door. An added bonus? 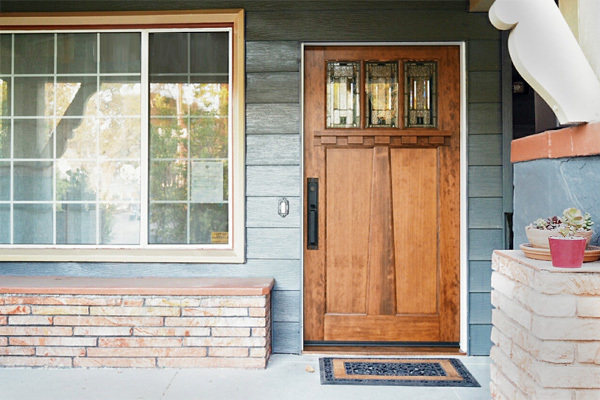 A new entry door gives you a great return on your investment. Have a spring move in? If you have months of good weather ahead, start by creating a relaxing outdoor space. 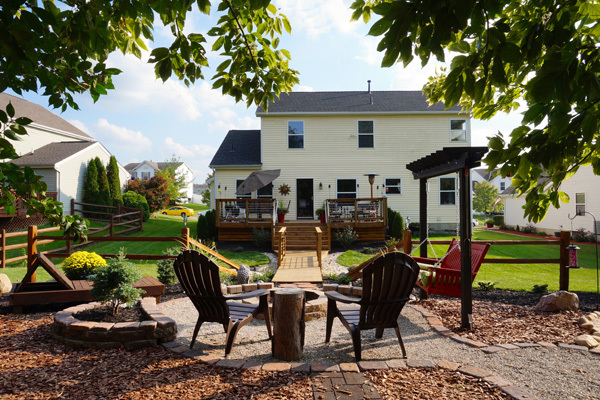 Build a patio or deck to create an extra room where your family can truly get away from the clamor of renovation project. There’s nothing like closing the sliding glass door on the clutter, sitting down with a glass of iced tea, and soaking up some sunshine. With all of that work you’ll be doing inside your fixer-upper, you’ll undoubtedly deserve it.